Born on 17th August, 1954. After completing M.A. and LL.B Degree from University Law College, Dibrugarh enrolled as an Advocate in 1978. On being selected by Assam Public Service Commission joined the Assam Judicial Service in 1980 and worked in various capacities in many districts of Assam and lastly as District Judge in Jorhat and Kamrup till the appointment as Registrar General on 01.11.2011. Awarded Ph.D. in the year 1995 by Dibrugarh University on the thesis “Women in Crime”. First lady Registrar General and High Court Judge from the Judicial Service in the Gauhati High Court. Elevated as Additional Judge on 2nd March, 2012. 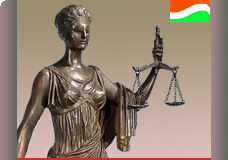 She is posted as Permanent Judge at itanagar Bench w.e.f 2/03/2012 to 8.06.2016.